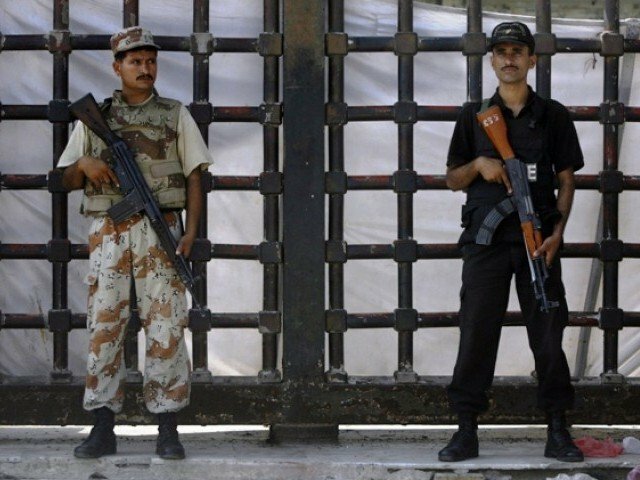 Security was ‘beefed up’ or ‘put on high alert’ after the bombing at Abdullah Shah Ghazi’s shrine in Karachi which resulted in killing at least 10 people and left more than 60 injured. Question: Why could security not have been beefed up earlier so as to avoid the incident all together? In a country like Pakistan, where incidents of terrorism occur on a frequent basis, there really shouldn’t be any question as to when it would be the right time to put security on high alert. Right after the incident, a minister on TV said that the security at the shrine was “next to perfect.” I saw a lot more police officials and rangers present in the area a day after the attack. What would we call this arrangement now? More than perfect? Another minister pointed out that such incidents are not avoidable and no country in the world has been able to curtail them. An interesting point, but when was the last time we heard of a blast in the United States or the United Kingdom, or for that matter any other European country?After all, these countries are supposedly the actual enemies of the Taliban. We apparently get attacked because we help them. I wouldn’t expect Pakistan to have the same arrangements as those in the US. We do not have the same technology or the finances. But would it be too much to ask if we wanted our government to just try? When I drive around the city, I see the number police vehicles parked outside certain government representatives’ houses and I think what need is there to have an entire army present there? Perhaps one car, or two, but an entire fleet? While there is barely any security for the common man. Security was put on high alert in Karachi, because the President was visiting. Why should the president have to visit the city for the people of Karachi to be more protected? No need to pay too much attention to the above rant though. Soon enough, there will be another incident and everyone would have forgotten about this one and once again we will go through the cycle of statements by the government defending itself and criticism from the media and the opposition parties. Burger Inc: The new and improved Mr Burger? I heard there was no security bc all the security was diverted to protect his highness. Could be a rumour. My biggest problem is that the CCTV footage could have and should have been available to add to the evidence. This suicide bombing culture will prevail til the time we wipe it out by catching the culprits (the planners duh, not the dead/bodiless bomber) and punishing them according to what they deserve. Terrorists should be scared to plan these attacks… and they aren’t bc they know there’s no getting caught.